VP Racing Fuels Round Fuel Container in Black Orange - VP Racing Fuel Jugs & Containers. With the VP Racing Fuels Round Fuel Jug you can transport your fuel like a pro in top quality 5 gallon (22.7 Litre) VP fuel Jugs. These 'Quick-pour' design fuel jugs, filler hose and race funnel make fueling your bike quick, clean and easy. Available in assorted colours. Nonbreakable multipurpose caps with rubber gaskets and hose adapters. Avalible in a choice of 10 diffrent colours. VP Racing Fuels is best known as the World Leader in Race Fuel Technology, fueling champions in virtually every form of motorsports on land, sea and air since 1975. 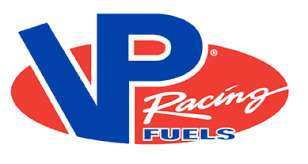 VP is the Official Racing Fuel of NHRA Championship Drag Racing, American Le Mans, World of Outlaws Sprint Cars and Late Model Series and Rally America, among more than 60 VP-sponsored series and sanctioning bodies.